The last total solar eclipse in the United States was in 1979, 17 years before Sinjon Bartel was born. So when a total eclipse was set to occur last year Aug. 21, he knew he wanted to experience history. Actually, he knew about a year and a half earlier that he wanted to be a part of the Pitt Shadow Bandits, one of 50 NASA ballooning teams across the country studying the eclipse. He sacrificed most of his weekends for a year and half to help design a balloon equipped with cameras and research equipment that would float about 100,000 feet into the atmosphere to study a phenomenon called shadow bands. 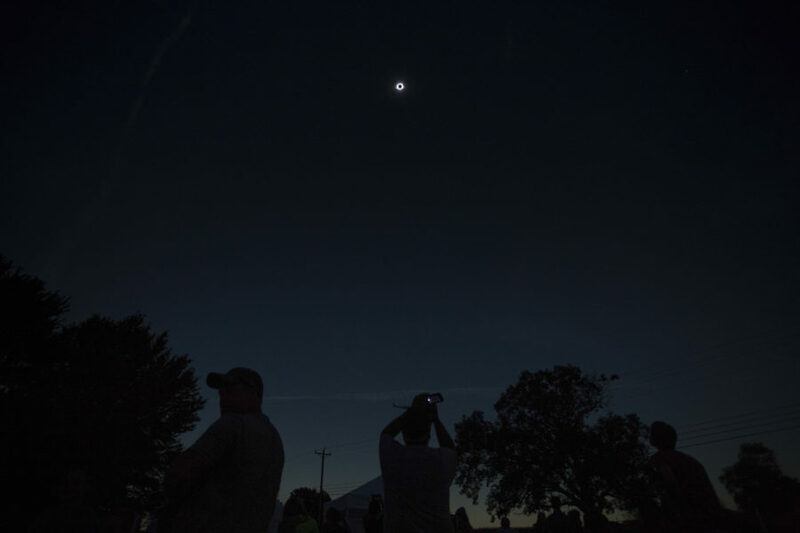 Bartel, his close friend Maura Kay and the team of researchers found themselves in the middle of a field in Tennessee right in the path of totality. “They start inflating the first balloon and all the kids have their fancy gloves on to touch it and it’s very funny-looking,” Kay said. The Pitt Shadow Bandits, a team of Pitt students, faculty and staff, traveled to Tennessee to watch the total solar eclipse and test a theory about shadow bands. Just as she noticed that peculiar shape of the balloon, it popped. “Everybody was horrified. And in the instant that it pops, Sinj starts laughing,” Kay said. Kay watched mania ensue while Bartel chuckled. A balloon never popped in any of the test runs they conducted. But Bartel grabbed another balloon and soon helped the team launch a successful probe. “I think it captures his humility meshed with quick action and genuine smarts,” Kay said. The 22-year-old mechanical engineering and computer science major certainly doesn’t boast about his wide range of talents, interests and pursuits. Instead, it stems from a drive to be diverse in all that life has to offer. 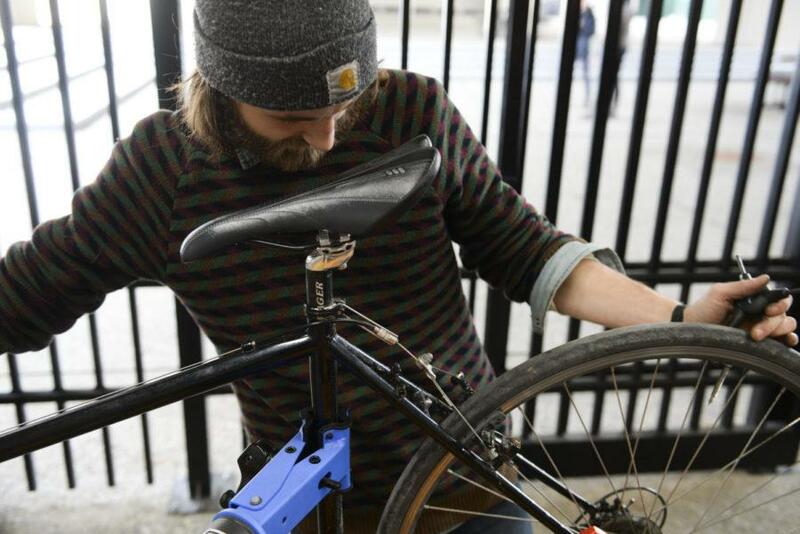 Bikes are a large part of Bartel’s life as the co-president of the Pitt Bicycle Collective. 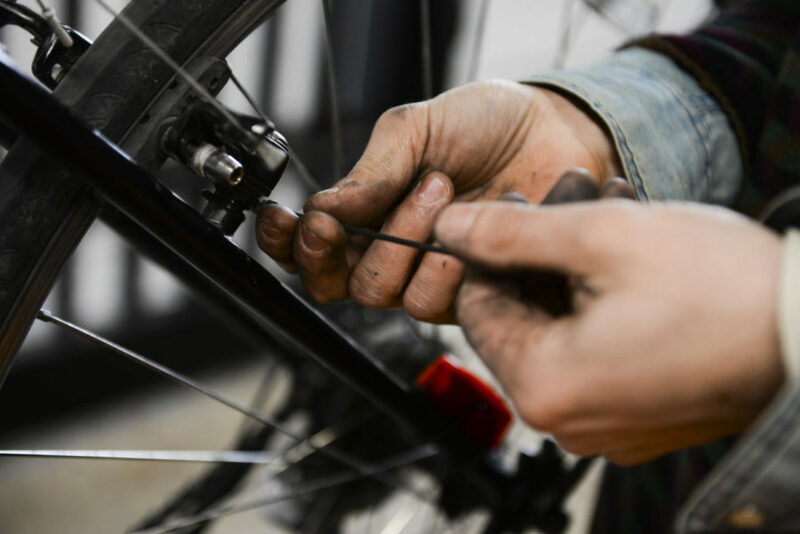 When he isn’t riding around campus or to various destinations in Pittsburgh, he can often be found in the Bike Cave — a small outdoor bike shop where he provides free bike repair training and welcomes anybody to hang out. The shop sits under the connecting bridge between Posvar Hall and David Lawrence Hall — a lone metal office, desk and two workbenches reside behind a black iron fence with thick concrete on all other sides. To the far left, a collection of donated bikes wait to be ridden by those taking part in the group rides or instructional classes the collective offers. To the far right, any wrench, screwdriver or tool a mechanic could need hangs on a blue and white pegboard. Shuffling between all of them to dispense free bike knowledge is Bartel and the bike collective team. There have been trying moments for Bartel in his time at the shop that extend beyond repairs, though. One was working with the rest of Pitt Bicycle Collective to establish a night for women and people in the LGBTQ+ community. Bartel said cycling has historically been a male-dominated culture — he’s even seen men grab wrenches out of women’s hands at bike shops. This wasn’t the direction he wanted to follow. “We are trying to encourage people to ride their bikes and be psyched about it rather than continuing to build a culture that, if not intentionally, inadvertently depresses one’s willingness to engage,” Bartel said. The shop dedicated Thursday nights in the fall of 2017 as a time for women and the LGBTQ+ community to utilize the shop without feeling unwanted. As word spread, Bartel began receiving emails criticizing this decision. “For a lot of people, it’s a new thing to hear ‘you can’t be here,’” he said. Bartel’s desire to share the power of two wheels and pedals took hold when he started riding more the summer before his sophomore year at Pitt. 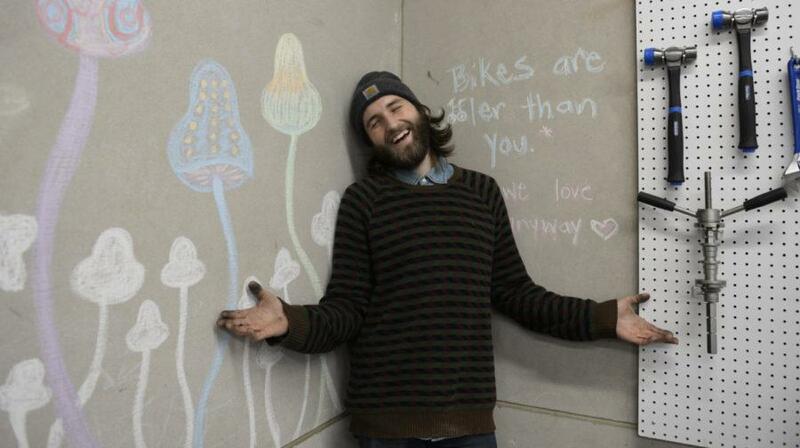 Being a founding member of the Pitt Bicycle Collective offered him a forum for sharing bike culture. In doing so, his eyes have been opened to the power of determined young minds. Transportation equity is just one example of Bartel’s broader view of where Pitt’s campus conversation could shift. He isn’t a huge “rah, rah, go Pitt” guy in the sense that he sees the world as more than just Pitt’s campus. One way he engaged with the community was his journey to the Pittsburgh Contra Dance Network in Lawrenceville the fall of his sophomore year. He was familiar with contra dance from back home in Allentown, where his sister had been participating in the folk dance. Bartel described it as a simplified square dance where people assemble in lines with partners, a definition he hopes won’t offend any contra dancers. Contra dances are accompanied by a live band, and he was impressed with the traditional Appalachian sound of the Lackawanna Longnecks, an Old Time stringband based in Pittsburgh. Through talking with one of the bandmates, he was directed to an older woman in the area who taught fiddle. Every Tuesday for the majority of his sophomore year, he would bike to the woman’s house to learn how to play the old-time instrument. “We’d spend an hour together. She’d teach me a new song by call-and-repeat style, so she’d play a bar and I’d try to figure out the notes,” Bartel said. He learned more than the fiddle at his instructor’s house. She showed him new perspectives through her own way of living. 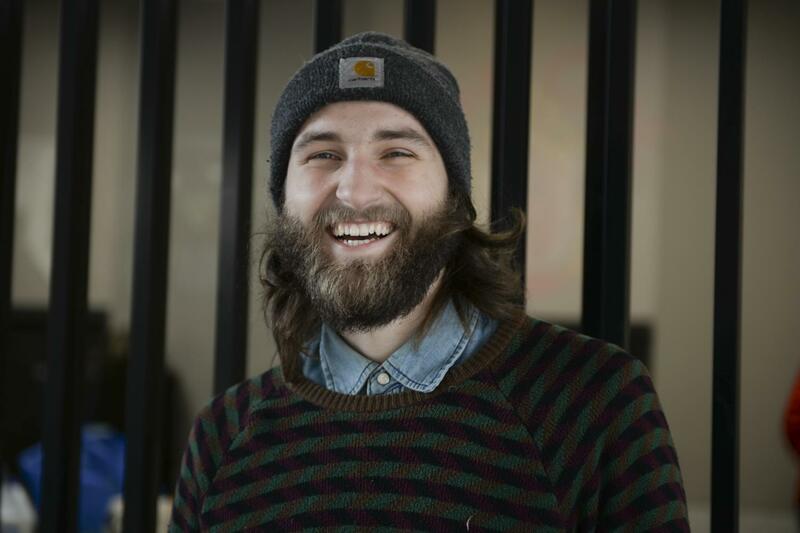 Senior Sinjon Bartel might seem like just a bike enthusiast, but his quest for diversity is what contributes to his effervescent personality. In between lessons and his teacher showing off her asparagus growing in her backyard, Bartel noticed a banjo in one of her roommate’s bedrooms. “I was like, ‘Hey, can we try this out?’ And she was like, yeah. So at first she lent me one of hers, and then I found a cheap one. Since then, that’s where I’ve focused most of my playing,” Bartel said. The inclusiveness of playing music is special to him. As Bartel’s ever-expanding collection of hobbies grows, the question of who he is becomes harder to answer. On the street, he can be identified by his long, dirty-blonde hair and bushy beard. Some days he might wear a multicolored striped sweater. He isn’t as familiar with trends, Netflix shows or the latest memes as many college students are, but he has plenty of interests to occupy his time.